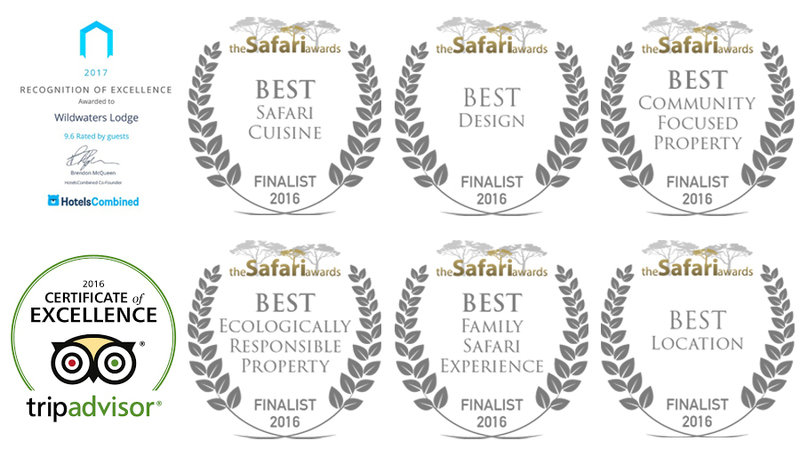 The Safari Awards is where over 4,000 vetted tour operators, travel agents and travel journalists are invited to vote for the best safari camps, lodges, houses, mobile and riding operators, and wildlife organisations in Africa. Here at the Safari Awards, they know that every safari is unique and special but the Awards give credit to the lodges, guides, spas and food that you have experienced on safari that go over and above your expectations. It is not all about luxury but about the essence of a safari experience that showcases the wonder of wildlife, as well as providing a memorable visit or adventure. So if you need a little 'nudge' as to why to come and stay at Wildwaters, just look at Wildwaters awards from 2015. We are very proud of our team that made this possible.